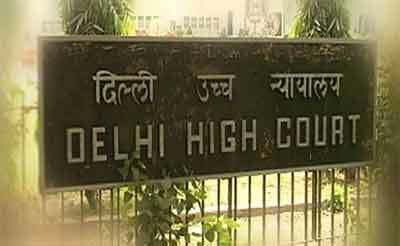 New Delhi: The Delhi High Court asked the city government to ensure proper medical treatment to those injured in the 2011 bomb blast at its main gate. A bench of Acting Chief Justice Gita Mittal and Justice C Hari Shankar also said that efforts should continue to provide proper medical facilities and rehabiliate the victims. During the hearing, the Delhi State Legal Services Authority (DSLSA) also filed a report in the court on the status of the victims of the September 7, 2011 terror attack at the reception counter of the High Court that had claimed 15 lives and left 79 injured. The report filed by DSLSA secretary Sanjeev Jain said they have taken details of the victims, who had lost their lives and those injured, from the investigating officer. Out of 15 persons killed in the blast, the authority had called the family members of 14 persons for interaction and 45 of the 79 injured persons came forward, the report said. It said the other injured persons could not be contacted as notices sent to them remained unserved due to insufficient or changed address. The report said those killed and the injured have already been compensated by the government following the high courts order. It said the court had awarded compensation of Rs 20,000 and Rs three lakh to persons who received minor or grievous injuries respectively and Rs 10 lakh compensation was paid to the families of those who lost their lives. A powerful blast had ripped through the reception counter of the Delhi High Court complex on September 7, 2011 that had claimed 15 lives and left 79 injured. The high courts earlier order had come on plea filed by advocate Gaurav Kumar Bansal, seeking direction to the government to ensure social security for the terror attack victims and their relatives. Allowing the PIL, the high court had also asked the Centre to consider providing education to the victim’s children and directed the Delhi government to provide jobs to eligible children of victims.